Ann Beehler has a clear understanding of the art of glass making. She’s been shaping glass since 2009. She started off by tinkering with pendants, rings and other jewelry and moved on to larger projects after acquiring her very own kiln in 2011. Since than, her art portfolio has grown to include fine art and functional art pieces such as bowls, plates and platters. Beehler’s process of creating one-of-kind glass pieces starts with an abstract approach. Beehler said each of her creations are original and personal and its her art process that allows an emotion or feeling to be brought into the three-dimensional landscape. Beehler has been featured as an emerging artist at the St. Louis Art Fair. Her jewelry and fine art pieces can be found locally at Corners Frameshop & Gallery in Ferguson. A sampling on her work is now on display inside the North County Transit Center. 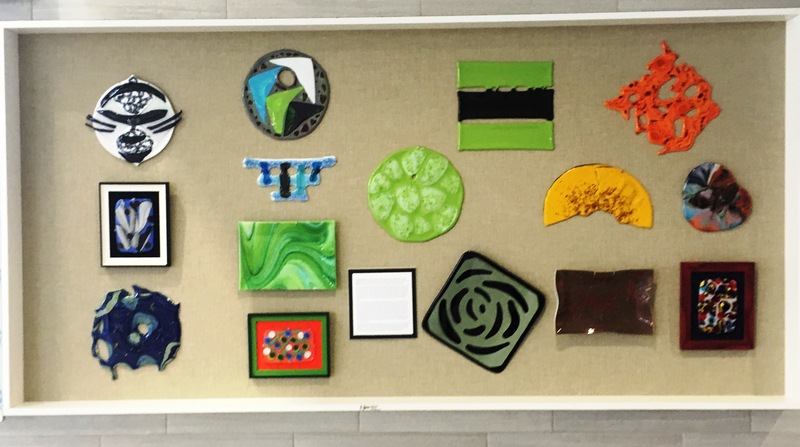 The art pieces, a total of 15 that vary in size, will be displayed at the transit center until the end of March.